A torn meniscus can slow anyone down, but if you are a high-energy musician, with a heavy touring schedule, it just about grinds everything down to a halt. Such was the place Michael Franti found himself earlier this year after injuring his knee during a performance in January. He underwent surgery in February, and since then has worked to get ready for his summer tour with his band Spearhead. He also tries to eat the right foods, get enough sleep and spend time with friends and family. It’s a way of being mindful in what can be a chaotic schedule — a sentiment that is mirrored in the band’s latest single, “Once a Day,” which also is the name of its tour. It brings Franti and Spearhead into Stamford on Thursday, July 9, to open the Alive@Five outdoor concert series in Stamford at Columbus Park. Franti sees “Once a Day” as more of a movement — an encouragement for all people to counter the chaos and uncertainty in life by turning to others to express joy and support. He says a hug or kiss will do just fine, as will finding ways to give back and help others through unexpected challenges. “ ‘Once a Day’ is a gentle reminder to hug and to love and to remember to be grateful each and every day,” Franti added. 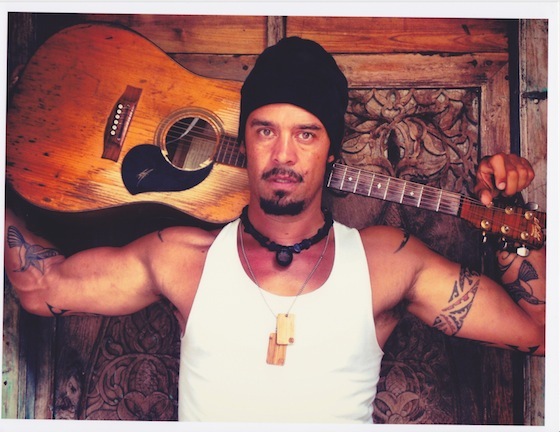 Franti has used music throughout his career to encourage understanding and cooperation. His music is often upbeat and positive, as the titles of his hits would suggest — "Say Hey (I Love You),” “The Sound of Sunshine,” “Life is Better with You” and "I'm Alive (Life Sounds Like).” But he does not shy away from political or social causes. “Same as it Ever Was (Start Today),” a song he released in December, was in response to the recent tensions between police officers and African-Americans.